Flow-Right Plumbing and Heating Corporation has spent years establishing a professional reputation in the Staten Island and the New York metropolitan area. We have services for both commercial and residential clients, and we can handle any of your plumbing and heating needs. Our experts technicians are certified to handle your repair, maintenance, and installation needs, and we respond immediately to any service call or inquiry. We guarantee all of our work, and we are proud to be fully licensed and properly insured. We offer free estimates for all of our services, and we will also help you to plan your next project. 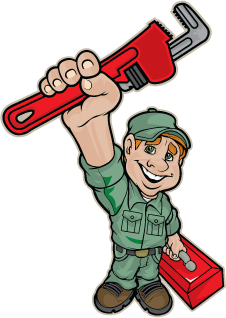 We invite you to take advantage of our expertise and have one of our professionals help you plan your next heating or plumbing job. Flow-Right Plumbing and Heating is available to residential property owners, apartment complex managers, property management companies, real estate developers, and anyone else who may require the services of an expert plumbing organization. We can come in and do one-off repair projects, or we can set up a maintenance contract to help take care of all of your plumbing and heating systems. We are equipped to be able to take on any size job, and we respond to every service request quickly. We can design and install a new bathroom in your home addition, or we can update the bathrooms in your office complex. Before you start planning any plumbing or heating project, we recommend that you give Flow-Right Plumbing and Heating a call. We guarantee our work, and we are more than happy to work hard to provide you a free estimate you can rely on. Our job is not done until the customer is completely satisfied, and that is something we believe for every job we do. Whether we are installing a brand new boiler system or removing a clog from your kitchen sink, we put pride into every job and it shows in our results. We have been working in the Staten Island and New York metropolitan area for years, and we invite you to ask your friends and neighbors about us. When you are ready to have a professional organization take care of your plumbing and heating needs, then you are ready for Flow-Right Plumbing and Heating. Give us a call and let us get started on your project today. © Copyright 2016: Flow Right, Plumbing & Heating | Staten Island Web Design.